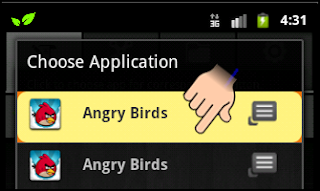 This is my first android application with some shape and dimensions and its a simple one and a little use full one. Its obvious that a smart phone user, his/her business with android device in a day would end in opening a few favorite applications and this favorite apps would be few over a period of time and keeps changing as interesting apps are being added to android market every day. 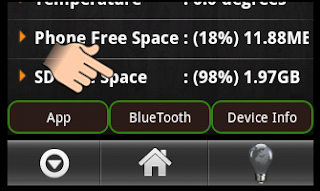 Most of the time his/her business would be turning ON and OFF of bluetooth, wifi, Gps, Volume Control, Vibration mode, Screen brightness, screen time out control...etc and the other time he would be opening some kind of File-Manager application to view the content of SD card and other file. Mostly he/she is worried about battery back up...! and current battery level, and free SD card and internal phone memory space. 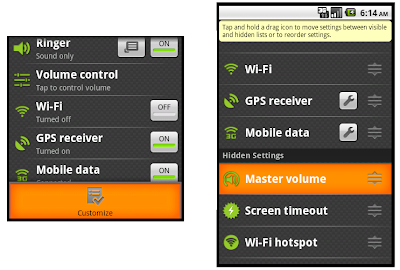 I have developed this application compatible with android Froyo2.2 and above version-ed phones by considering the above requirements as even I am one among the users. 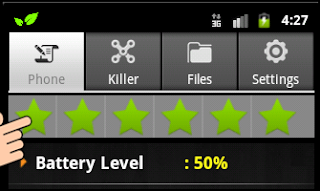 This looks as a simple battery widget application with an icon and a text on the icon showing the current battery level sitting in one of the home screens. 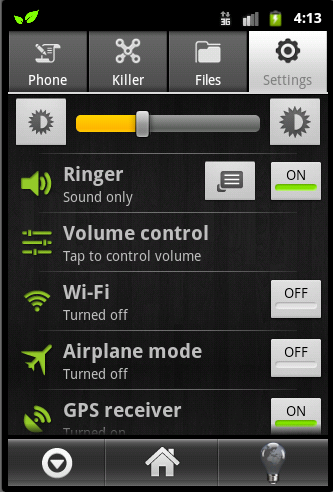 This app is different from the other battery related applications available on android market, i can say about it like this "It looks simple but more powerful....!" ha ha something like ambassador car in India. 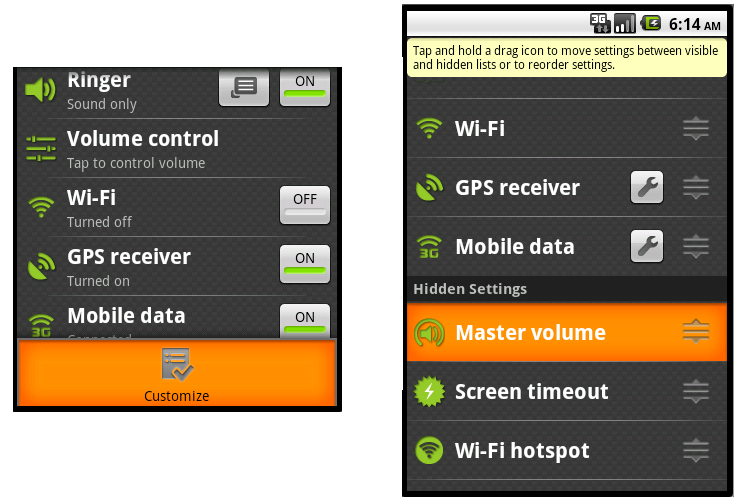 As most of the users are aware of widgets in android so my work is done easy in explaining the installation procedure. Any how let me even explain that for my satisfaction....! As i haven't named this application yet for the time being its given a name NoName and a icon with two leaves to pass a message SAVE EARTH by Tree Plantation and reduce Global Warming. This finishes the installation sequence....! ( if u could not install go to trouble shooting at the bottom ). Tapping ( clicking )the widget opens up the main screen....! as shown below Hey don't get scared if it is ugly...! with your feedback i shall make it look better. Here in this view you find some 6 icons with love symbol ( i used it to mean favorite, strictly with no other intention ) and few information related to battery and phone storage and some weird 3 buttons.....! 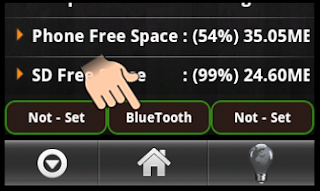 Long pressing the Star icon opens a dialog asking you to choose a shortcut for your favorite apps with 6 buttons each corresponding to each Star icon, click the corresponding button in the dialog to choose favorite app on at a time from the another dialog opened with the list of installed apps on your mobile. So in this way you can choose any 6 favorite apps and can open them in just 2 clicks....! 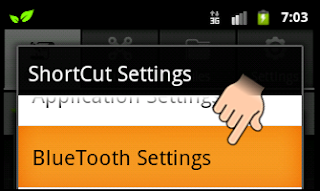 To remove or change the shortcut to a new application the procedure is same by long pressing the existing icon. 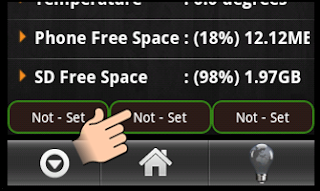 In the same way you can customize the rest 2 buttons to any of the important system settings out of 24 options given to you. 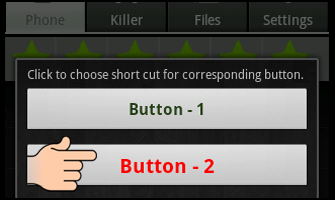 Clicking the 2nd tab "Killer" opens the view shown below, as in android if you close an application its not really closed rather it remains in the background in the activity stack and the android system kills them automatically after the phone resources level reduced...! till the android system kills them they remain in the background eating up your battery, so you can improve your battery back up by killing the unwanted back ground processes. 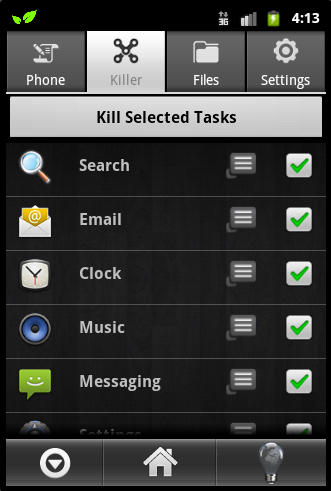 clicking the button "Kill Selected apps" kills the checked process and rescans for any other processes still remaining in the background. 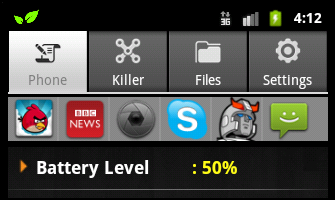 Note: There are few applications like skype, news which run like a service, killing such apps will restart back...! 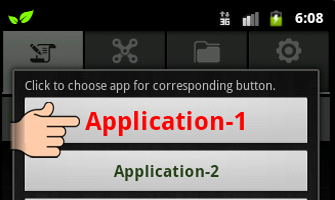 so better don't kill such apps as restarting the process even consumes battery. 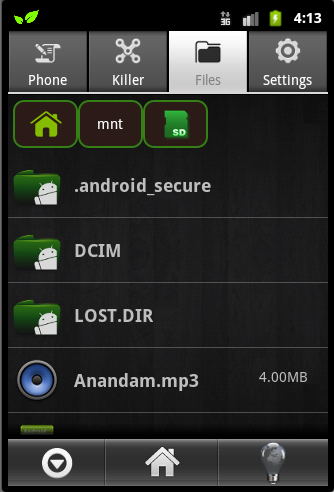 clicking the tab "Files" opens this view, this is much like a advance File Manager where you can view the contents of SD and other parts of your phone file system. In this view click "menu" button (hard key) allows you to customize the above setting options, (as shown in the below screen shot) it has drag and drop feature explore it as much as u can...! There is still to be explained.....!!!! Your feed back is important to me....!